The application period for the 2019 fall term (classes starting on 15 October 2019) is from 1 January 2019 to 30 April 2019. Applications submitted after this date will not be considered. Only complete applications containing all required documents will be considered. The application review process involves two elements: First, a check of the applicant's suitability for the program, conducted by the Department of Sport Science and Sport, and second, a formal review of the applicants' degree certificates conducted by the central university administration. 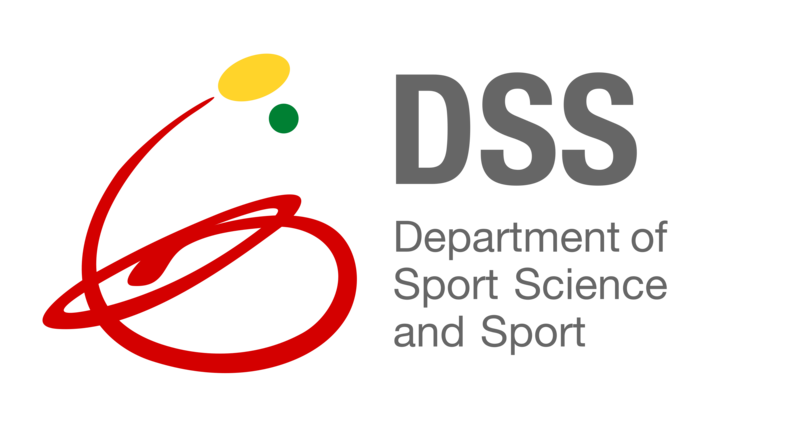 As a first step, you should send your application documents directly to the Department of Sport Science and Sport. Please send your application as a hardcopy by mail. Do not send your application by e-mail or fax. The Department will notify applicants by e-mail upon receipt of the application. Applications will be reviewed by the Institute within 6 weeks of receiving the complete application package. Applicants will be informed of the outcome of the evaluation process by e-mail so please make sure you provide us with a valid email address! As a second step, applicants who have passed the evaluation by the Depatrtment of Sport Science and Sport will be asked to take part in the formal admission process conducted by the central university administration. This phase starts in May. Applicants will receive assistance guiding them through the formal application process. The central university administration will conduct a formal check of the applicants' degree certificates. Applicants who pass this second evaluation process will receive an official letter of admission to the MA Programme in Spring/Summer. As international (i.e. non-European Union) students will need the formal admission letter in order to apply for a visa to Germany, these applicants are strongly encouraged to file their application with the Department of Sport Science as soon as possible. If the application to the Department of Sport Science and Sport (Step 1) is submitted later than in February 2019, the full two-step application procedure may not be completed on time to receive a visa for the 2019 fall term. There are no forms to be completed for this stage of the application process. Application forms for Step 2 will be provided to applicants who have passed Step 1. The cover letter is an important part of your application. It should express why you are interested in joining our programme and what professional career you envision for yourself afterwards. In addition, the cover letter should state your prior exposure to/experience with the subject areas of Physical Activity, Physiotherapy, or Public Health. The cover letter should be 1-2 pages. Your curriculum vitae/Resume should provide us with brief information on your secondary and academic career. It should list all schools/universities you attended in the last years. Any professional experience (internships/part-time or full-time jobs) relevant to our programme should be listed. It should also include information on your date and place of birth, nationality, and current place of residence. You may use a template like the Europass-CV Template (Download the template and instructions or visit the Europass-Homepage). You will be asked to submit certified photocopies of all your all degrees from secondary and academic education, including grade records (e.g. transcript of records) for each degree. All copies will have to be sent to us by mail (not by e-mail or fax). Please note that our central university administration requires all copies to be certified. The central university administration will decide on a case-by-case basis whether the certification of a photocopy is sufficient or not. As a general rule, a certified copy is one that has been declared identical to the original by an authorized individual. Usually, every academic institution has administrative staff that are entitled to certify your degrees/records. If in doubt, you can also ask your local German embassy or consulate for institutions issuing certifications that are recognized by German universities. The programme is open to students who do not have degrees in Sport Science, Kinesiology /Exercise Science, Physiotherapy, Rehabilitation Science, Health Education, Health Science/Public Health. Such other degrees can be e.g. Physical Education, Psychology, Sociology, Political Science, Anthropology, or Medicine). This list should provide us with a brief summary of all classes or coursework that you have attended and that are relevant to the subject areas of physical activity and/or (public) health. Potential examples include courses/classes covering the topics of sport science, physical education, physical therapy, rehabilitation science, kinesiology, gerontology, public health, epidemiology, research methods, or statistics. The programme is open to students who do not have degrees in Sport Science, Kinesiology /Exercise Science, Physiotherapy, Rehabilitation Science, Health Education, or Health Science/Public Health. Such other degrees can be e.g. Physical Education, Psychology, Sociology, Political Science, Anthropology, or Medicine). Students with such degrees need to document at least 1 year of work experience (full-time) in the fields of Sport, Physiotherapy, or Public Health in order to be eligible to apply to the programme. The documentation can be an attached letter from the institution/company. Attending an academic MA programme in a non-native language is quite demanding. Your language skills must be sufficient to listen to lecturers, read scientific articles/books, discuss its contents, answer written questions about the contents of texts, and write term papers. Many students in the programme are either English language native speakers, or have English language skills on the C1 or C2 level. All applicants whose native language is not English and who did not do their BA/MA in a programme that used English language as a medium of instruction must therefore submit an English language certificate demonstrating that their language skills fulfil the requirements of our programme. The minimum language skill level required is B2 of the CEFR European language portfolio. Please visit our "Admission Requirements" section for more information on language certificates. State level regulations require that all non-native German speakers acquire the level A1 of German language skills at least one year after beginning their studies in Germany. Applicants who already have German language skills can document those as part of the application package. Applicants who do not have German language skills yet can apply nevertheless. Enrolled students can take part in German language classes free of charge at the university to acquire the necessary German language skills during the first year. All classes/courses/examinations are in English language. Please send your application as a hardcopy by mail. Do not send your application by e-mail or fax! The deadline for applications is 30/04/2019. Applicants will be infomed about the outcome of the review. Successfull applicants will be invited to enter the 2nd step of the application process. If you have any questions concerning the content of the Master's programme or the application procedure, please contact our programme advisor Karim Abu-Omar.